We hear the words "globalization" and "global economy" a lot these days. Many say that preparing youth for the 21st Century requires a commitment to global learning and the development of global competency. It is important that ALL young people have the opportunity to advance their global competency and expanded learning programs are well positioned to address this. When we say "all", we have to look at the issues of equity. The Asia Society is leading the charge in helping youth programs advance the global competency of their youth. (Asia Society is the leading educational organization dedicated to promoting mutual understanding and strengthening partnerships among peoples, leaders and institutions of Asia and the United States in a global context.) NOTE: global learning and global competency are well aligned with the California Quality Standards for Expanded Learning Programs. 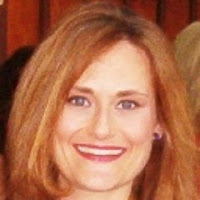 Heather Loewecke is Senior Program Manager of Afterschool and Youth Leadership Initiatives at Asia Society. Heather will lead a small group session entitled “Increasing Equity through Global Competence” at the upcoming How Kids Learn VI conference in Los Angeles on January 23, 2017. Below is part one of an interview that we conducted with Heather around the topic of global competency. 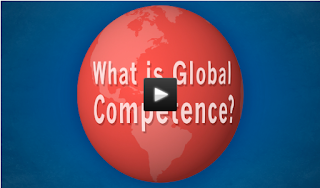 Q: Can you describe the term “Global Competence”? • Investigate the World - Young people use a range of methods to research globally significant questions that address important issues and events that are relevant locally or worldwide. They can also draw valid conclusions and develop a position based on that research. • Recognize Perspectives – Young people recognize and compare their own and others’ perspectives, considering the various factors that influence the development of these perspectives. They can also integrate others' viewpoints with their own, or create new ones, when necessary. • Communicate Ideas – Young people can effectively communicate with diverse audiences, and they understand that various audiences may perceive different meanings from the same information. Additionally, young people are proficient in English and at least one additional language, and they are technology and media literate within a global communications environment. • Take Action – Young people see themselves as agents of change. They can create and weigh options for action based on research, evidence, and personal insight, and they assess the potential impact of each option. Issues of local and global significance can rarely be understood through a single discipline alone. 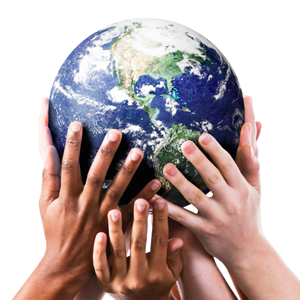 Globally competent young people develop an integrated outlook on the world. Therefore, it's important that youth develop these competencies through both disciplinary and interdisciplinary study — learning and applying that learning as historians, scientists, and artists do within and across subject areas. Q: Why is global competence important in the equity conversation? A: We know that young people from low-income households have less access than their peers in middle- and high-income families to enriching opportunities that increase language, communication, and social skills. As a result, disadvantaged youth have roughly 6000 fewer learning hours by 6th grade than their wealthier peers. On average, black and Latino students are roughly two to three years of learning behind white students of the same age, and nearly50 percent of low-income youth and youth of color drop out. Given that nearly one in two youth attending American public schools lives in a low-income community, and that ethnic and racial minorities now make up the majority of students, it is clear that both the opportunity and the achievement gaps are real challenges facing many across our country. The opportunity and achievement gaps translate into a skills gap in the American workforce. An increasing number of US high school graduates enter college and the workforce lacking basic reading and math proficiency and 21st century skills such as problem-solving, effective communication, working well in diverse groups, social-emotional skills, and using technology for a wide range of basic tasks required for a middle-class wage. Manpower Group’s 2015 talent shortage survey found that 32 percent of US employers, and around 38 percent of employers worldwide, had difficulty filling jobs due to this skills gap. Additionally, it has been well-documented by the PISA test results that American students’ abilities to apply math, literacy, and science skills to real-world problems are less well-developed in comparison to high-performing countries in Europe and Asia. Clearly, we need to shift from our 20th century assumptions about work, globalization, demographics, and civic engagement and develop a more innovative and visionary educational response to prepare all young people for the interconnected world and global workforce of the 21st century. Curriculum, instruction, and assessment need to be substantially redesigned to support student mastery and application of core workplace and civic competencies as well as academic knowledge. More and more, including through the passage of ESSA, there is recognition that schools alone cannot prepare young people for success; it is critical that schools and communities collaborate in order to have the most positive and comprehensive impact on the development of all youth. Out-of-school time programs and networks can help the formal school system address these challenges by providing the opportunities to develop the academic and holistic supports to close the opportunity and achievement gaps and prepare youth for global citizenship. All youth deserve to be prepared to compete for high-paying jobs in the global economy and to contribute civically. And, global learning activities help youth look beyond their immediate surroundings and experiences – when their horizons are expanded, they begin to see different possibilities for their futures. In these ways, global learning activities are necessary – not supplemental - and can help address the academic and opportunity gaps of those in underserved communities. Heather began her career as an English teacher at a high school in New York City where she implemented interdisciplinary curricula utilizing a workshop format for developing students’ literacy skills. Then she managed capacity building projects and coached educators in various topics such as conflict resolution, lesson planning, social-emotional learning, behavior management, among others. Heather was a member of the Children’s Studies faculty at Brooklyn College and taught an undergraduate course called Perspectives on Childhood. She joined Asia Society in 2012.